You might think it is 1968 all over again. In one corner Dodge has unveiled a veninous new super stock Dodge Challenger Drag Pak; in the other corner is Ford with the Ford Mustang FR500 Cobra Jet package. Just like the factory super stock wars of years gone by once again some of the Big 3 are back in business. Will these new super cars live up to their precessors? The cars are designed to run in nearly 40 NHRA/IHRA classes including Super Stock, Stock Eliminator, Competition Eliminator, and of course numerous bracket classes. Purchasing a Drag Pak Challenger implies you enter into contract with Chrysler on the branding of the vehicle. 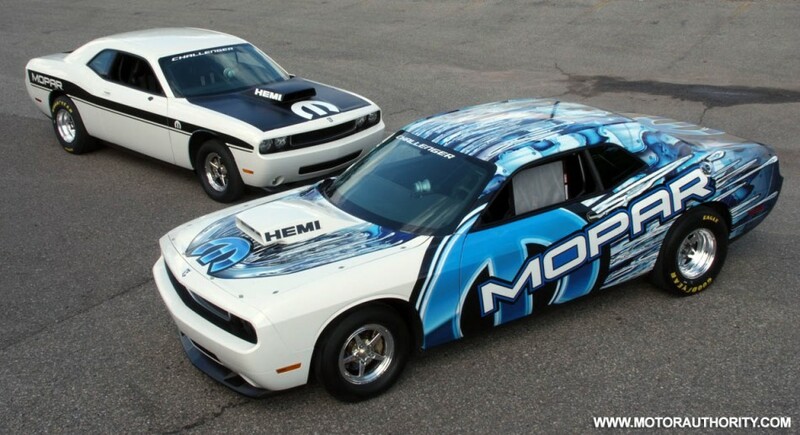 For more details check out their web site 2009 Dodge Challenger Drag Pak. 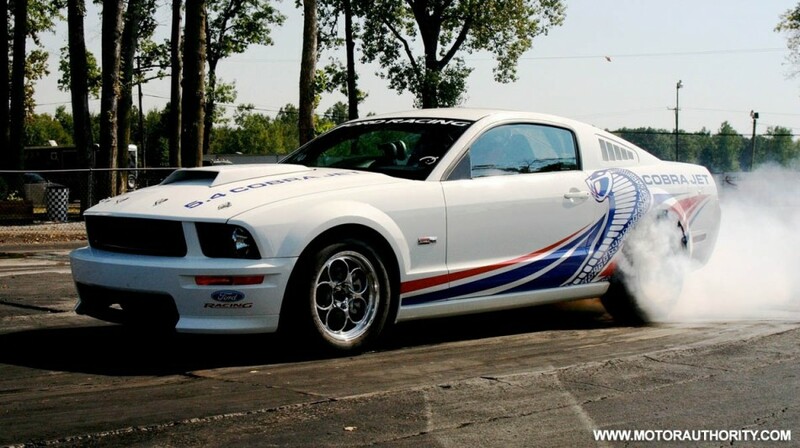 This is a ground up designed factory based drag race car. Power will come from the same 5.4L V8 used in the GT500. Expect horsepower ratings in the 430+ range. The car will include a stripped interior, optional roll cage, and a host of other features designed to make it one fast machine. 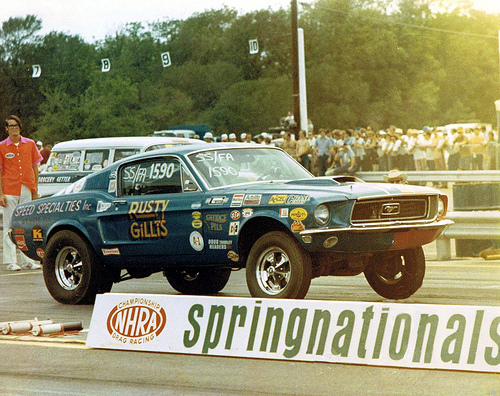 As with the Dodge Drag Pak, the FR500 Cobra Jet is a NHRA/IHRA drag race only vehicle. Estimated price tag is $70,000.